There's no better way to start the day than with a hearty and filling meal. And even for those who would wake up later and not consider themselves a morning person, it's still hard to argue that breakfast food is still one of the best type of meal out there. Luckily, restaurants like Conti's Bakeshop and Restaurant offers amazing Filipino and continental breakfast food, all day every day! 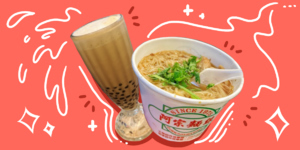 Aside from the solo meals, they also offer different combo meals which are good enough to fill up 3 persons already as it's complete with 3 ulam, fried rice, and egg! 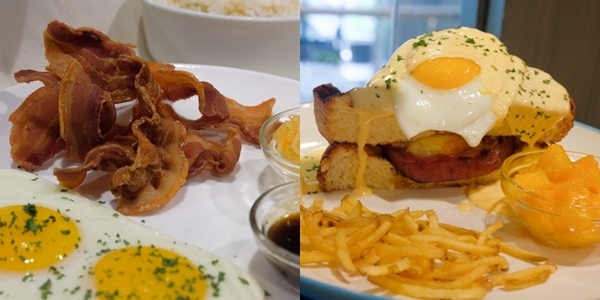 Just recently, they have also added 4 new dishes on their breakfast menu, which would satisfy your cravings for anything from bagnet to longganisa no matter what time it is. For those who are unsure if they like bacon or bagnet more, Conti's made it easier for them to choose with the Bacon Bagnet. This dish has homemade pork belly slices which are fried until perfectly crispy and served with a sweet and salty sauce, garlic rice, eggs, and atchara to balance all the flavors. Also available all-day is Conti's Classic Skinless Longganisa which is something that would fit the palate of anyone who's into the sweet and savory variety of longganisa. 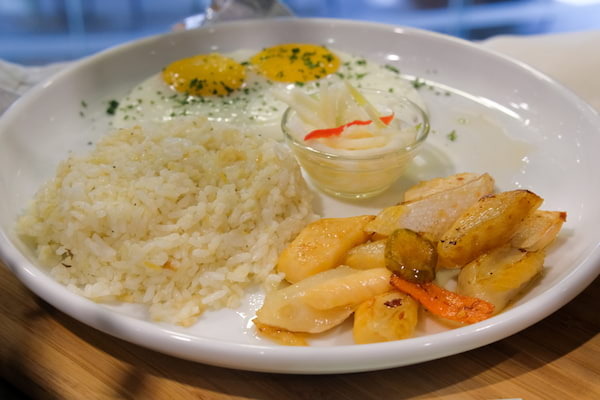 The dish is served with lemon rice, egg, and atchara. If fish is what you're looking for, there's the Salmon Belly in Olive Oil which is basically Norwegian salmon belly strips cooked in seasoned olive oil. Like the other 2 dishes, it's also served with lemon rice, eggs, and pickled ubod. 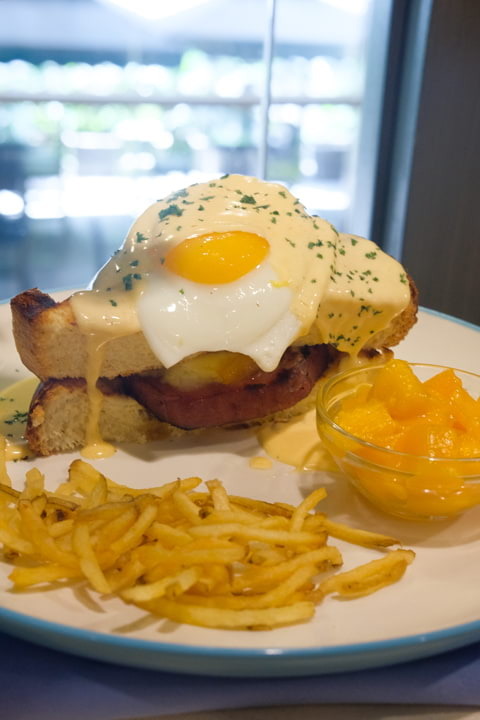 A new addition to the Continental Breakfast Menu, the Croque Madame has meaty slices of Conti's ham roll in between of toasted brioche slices and topped with a sunny-side up egg and hollandaise sauce. The dish is also served with potato shoestrings and fresh fruit cup. 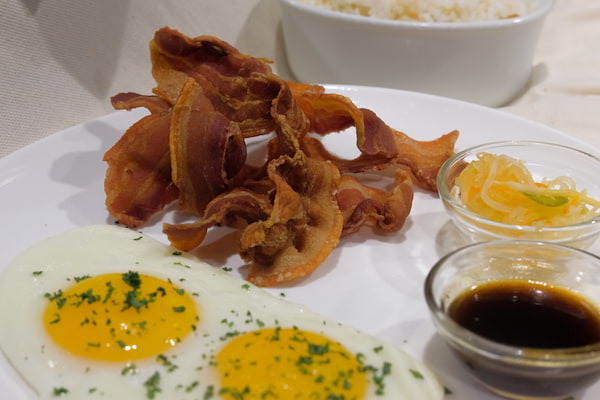 Conti's newest breakfast dishes are now available in all stores. For more information, you may check out their official website, Facebook, and Instagram pages.